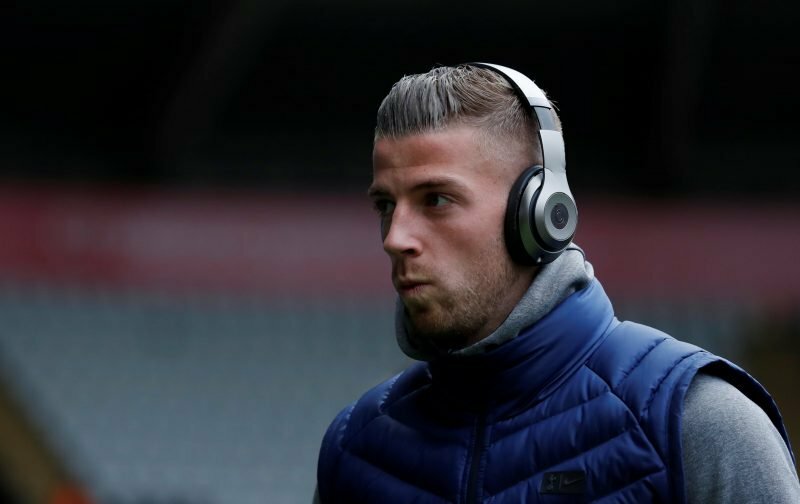 The reports that the club are after £75m for Toby Alderweireld from Manchester United may come as a surprise to some, but I think we can put this down to another game of brinkmanship from Daniel Levy. Of course, the Mirror story could be well off the mark, but it does sound like something the chairman would do. The reasoning behind the price tag looks to be quite straightforward. We rate Toby as the best defender in the Premier League. Liverpool paid £75m for van Dijk, therefore the Belgian is worth just as much, if not more. That obviously omits the fact that our no.4 will be available for just £25m next summer if we activate our option to extend his deal beyond 2019. However, it is not us who are setting the precedent for this but United. In their deal for Alexis Sanchez, they exchanged a player in Henrikh Mkhitaryan they valued at £35m for a player with just six months left on his contract. The club are therefore in a very good position to argue for a substantial sum. Yet, even if all the above is a true reflection of what’s going on, the question has to be asked: should we be selling to United in the first place? Although Toby’s recent injuries have suggested he isn’t as integral to our first team as he once was, there is a case to be made that, like with Kyle Walker and Manchester City, we will be strengthening our rivals if we make any deal. I’m sure I’m not the only fan who would accept a fee lower than £75m from a foreign club. I am fine with the Belgian international leaving this summer but I would much prefer if he was sold to a team like Paris Saint-Germain or Juventus. As fans, we tend to downplay the ability of players when they leave. It is a natural coping mechanism to say that we will be better off without them. Remember, we had the best defence in the Premier League two years running with Alderweireld in the side. This campaign, we have conceded ten more goals than the previous season. Statistically speaking we are worse off. As I said in my post yesterday, I am a big fan of Davinson Sanchez and I firmly believe he will develop into a superb centre-back, but that doesn’t mean losing Toby won’t be a setback; particularly if he joins United. To win trophies, this club must continue to strengthen in every position. We could use the money from the 29-year-old’s sale to do just that, but that shouldn’t mean we should be improving our rivals’ chances of winning something at the same time. Any deal with Man U for Toby must mean Martial coming our way. Apparently Man U don’t want to sell him to a direct rival. This cuts both ways. No Martial, no Toby. Not sure what you are after here, RB, but a straight up exchange of Toby for Martial would be a very bad deal for us. Martial and 75 million, okay, but a straight up exchange would be idiocy. If it is time for Alderweireld to move on; the we need to let him go to whomever pays more and where he wants to be. Once he’s decided (as I think he has erroneously chosen to do) our concern must be with quality acquisitions that will improve our team. Yes Man City won the league but they didn’t do that because they acquired Walker. I think transfers to our rivals is not great but i think our attitude under MP is different. He breeds respect and doesn’t like to create bad attitudes. I genuinely think MP respects players opinions to move on for whatever reasons even if he doesn’t agree with them and i dont see him standing in any players way if they want to move to a rival. Its about respect. I also think MP doesn’t fear our rivals and believes we can beat them regardless of what players they have. He doesn’t want ill feeling, in the long term it doesn’t help, he has a good reputation with players, so if toby wants to go to utd he will go and MP will be fine with it. Levys job will be to get the best for our club by selling as high as we can and then shake the players hand and say good luck. As a fan it hurts and doesn’t make sense but MP has a lot of respect with players and will not break that by not letting a player go to a rival club. He may not like it or agree with it but he will honor it. Also MP must be happy because he has signed new contract and players in and out to where and from will already be in the pipeline and if he was unhappy at what is going to happy he wouldnt have signed a new deal. Personally i think ins and outs are started a few weeks and months before end of season. So its already written, just us fans don’t know but i bet Player’s do. Agree with Loz, MP said” We have seen the best of Walker.” That statement made me think that MP didn’t rate Walker. Walker was the best and most consistent city defender. Whether Spurs fans rate him or not he has been in Prem league team of the season 3 years in a row voted for by his peers. I think it depends whether there are other clubs interested in Toby. If it is a one horse race then we have to decide whether to wait until after the World Cup to build up interest or sell to Utd before. With his recent injury record, I’m thinking that we will sell now. That de-risks Toby getting injured during the World Cup and also allows us to get going on our own incoming transfers. Our focus should be on an eventual succession plan for Vertonghen, not worrying about Toby though. We’ve already done that on the right of defence with Sanchez. Personally, I’m not too concerned by the media’s speculation. Of course there’s the whole thing over the extension clause essentially turning it into a 1-year contract, but who knows what Toby’s thinking, maybe he was waiting to see if Poch would sign before deciding and if that’s the case, maybe he won’t get a chance to sign until after the World Cup. Only reason for him to go to Man U would be money and maybe that is what it’s all about as many would suggest, but who knows? We should only sell him to man.u as a last resort if no other foreign teams bid for him.Every one seems to want martial,but i dont rate him,he struggles for 1st team spot and when he plays i am not convinced,he is valued at 60m and think of zaha and other players that would be cheaper and would walk straight into the 1st eleven. I like the opinions that all you guys have posted and must say i agree with all of them. I believe in allowing a player to go wherever they want to go because every player is replaceable. A good example of what can happen if you take the stance of not allowing players to join a rival, just recall Mourinho selling KDB and Salah. They both came back to bite him on the backside. There are good reasons to strengthen your rivals especially if they help to weaken the main protagonist by taking points of them. So focussing on our Team should be the objective. I honestly don’t care who a player is sold to. Once they’ve gone, they’ve gone. But, If a player is definitely being sold, is it possible to dictate to that player where he can and can’t go? I also think, we should not sell to a PL rival club. Sell to PSG or any other European club. Toby will be nearer to most of his family in Belgium (if a PSG sale) so should be happier. Better still try one last time to talk to toby in new contract.. his head has been turned by the Liverpool purchase of Virgil at £75m, It could also be alleged Toby’s agent saying he can get more money elsewhere, thereby the agent making very good financial gain. Perhaps I should’ve said; Is it FAIR to dictate to a player where he can and can’t go? Because of course any offer made to the club can be refused. But, what if Toby then refuses to go to a club we are prepared to make a deal with? Surely we can’t expect a player to move to where he doesn’t want to go? We always come back to the same thing. If we were 100% certain that the money would be reinvested fully, and wisely, in an appropriate replacement, I’d say take as much money as we can, even if that means reinforcing a direct rival. Man U would undoubtedly be better defensively with Toby, but if we bring in a quality replacement, it’s a win-win. But if it’s to sell Toby for 75 million, and buy Ahmed Hegazi of WBA (or someone like that; I picked Hegazi because we’ve been linked to him) for 10 million, it’s anything but a win-win. We’d be making a rival stronger as we’d be getting weaker (albeit richer). If we’re not going to reinvest the large majority of the fee we get, I’d rather get less and avoid strengthening a rival, if possible. But again, if Man U have a big fat contract waiting for Toby and his mind is made up already, we may not have much to say. The only thing we can control, really, is how much we get, and how we reinvest the funds. Here we have an article that is all about pure speculation for now. I’ve no problem with this at all but, MP has just signed a new 5 year deal, with a significant pay rise and yet barely a comment has been made about it. HT – in Belgium people say “a chef is only as good as the ingredients he/she uses”. MP signing an extension is obviously good news (providing he continues to get better), but if the club makes his squad weaker/thinner instead of better/deeper, there’s only so much he can do. You can’t ask MP to work magic. Sissoko, Janssen and others are, and will remain, limited footballers, no matter who the coach is. I’m not discounting MP’s ability as a manager, but I don’t think you should disregard the importance of players either. They’re not some easily replaceable commodity, certainly not with the financial constraints that our club operates under. Surely the MP extension is worthy of an article of its own. This article talks about one player specifically. Isn’t that obvious by my posts on this thread, just this morning? And from almost everything I ever write about our players? I was merely stating that the Pochettino news is real and all the rest is pure speculation. Including you stating that Toby will “undoubtably improve United and that Hegazi would not improve Spurs. It was in fact my point that, why is it that we have another article on what is not factual and yet not one that is highly significant to the club? I can’t of course comment on an article that doesn’t yet exist. Great news on poch signing new contract all credit to levy ,I’d b the first to have a go at levy over bad decisions which I most likely will by the end of this .toby leaving is only a matter of time and I for one will be disappointed to see him go especially if it’s to a premier league rival but if martial is part of a swap deal then I can live with that.martial has huge talent but he’s been under the wrong coaches , mourinho does not improve young players because he wants finished products and we can all see how that’s hit him right between his eyes this season salad, de bruyne.under poch martial would flourish he has pace to burn , dribbling , and can easily get into the 20 goals bracket every season which zaha will never do, plus he can play on the left through the middle and in the number 10 position.looks like were very interested in ajax centre half,a playmaker midfielder and a fullback is what’s needed with pace . 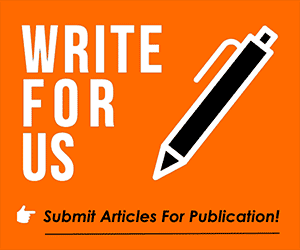 HT – You’re always free to write the MP article, if you feel it’s missing from the VS landscape… You can then comment on it as much as you want. As for my comments on Toby, I stated Toby “would” undoubtedly be making United better, which is conditional, not “will”. So you haven’t read my questions re Toby and transfers, etc? I asked quite pertinent questions in order to hopefully debate opinion on this supposed scenario. I didn’t just make a statement of opinion based on pure speculation or assumptions.